Which ROTC Military Branch is Right for You? The Reserve Officers' Training Corps (ROTC) is a college-based military program for students interested in becoming officers in one of the U.S. military branches. 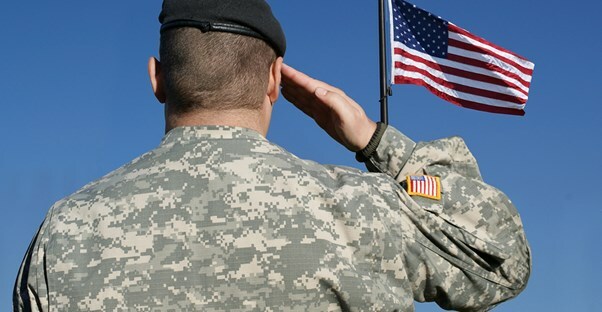 Three branches of the United States Armed Forces offer the ROTC program: Air Force, Navy, and the Army. The Marine Corps and the Coast Guard do not offer ROTC programs; however, graduates of ROTC programs are accepted into these branches of the military if they apply to them after graduation. Each participating branch offers eligible students full college scholarships and a monthly stipend in exchange for students enrolling in military science elective courses, wearing their uniforms on designated days, participating in military drills during the school year and summer, and entering their chosen military branch as commissioned officers upon graduation. During their freshman and sophomore years in college, Air Force ROTC cadets must complete one hour of in-class study and two hours of military lab every week. During their final two to three years of college, AFROTC cadets must complete leadership labs and specific upper-level military courses in addition to their regular course work needed to graduate. After graduation from college, AFROTC cadets who have received an ROTC scholarship begin their four to five years of military service commitment. If you have been trained as an AFROTC pilot, you are required to serve in the Air Force for 10 years. Cadets in the Air Battle Management program are obligated to serve for six years. The Naval Reserve Officers Training Corps (NROTC) program is a college military program that trains commissioned officers for the U.S. Navy and the U.S. Marine Corps. NROTC cadets can choose to enter one of three programs: Navy, Marines, or the nursing track. Cadets are expected to enroll in naval science elective classes, as well as advanced level science and mathematics classes. In addition, NROTC students must fulfill physical training programs that require four to six weeks of field training each summer until graduation. Naval ROTC scholarships cover up to five years of all college costs, and upon graduation, cadets become commissioned Naval or Marine officers who are required to serve in their chosen branch for eight years. The Army Reserve Officer Training Corps (AROTC) program is the largest and most intense branch of all the ROTC branches and takes four to five years to complete. ROTC Army students are required to take a two-year Army Basic Training Course in addition to the other courses required in their major. During the summer of their third year of college, AROTC students must pass a rigorous Leaders Training Course held in Fort Knox, Kentucky. This course focuses on field and weapons training. Cadets then spend their last two years in college taking courses in their major and advanced AROTC courses that deal with areas and functions within the Army. After graduation, cadets must serve four years in the Army or apply to serve part-time in the Army Reserves while pursuing a career outside of the military. Joining any branch of ROTC takes a serious commitment. If you accept an ROTC scholarship and later determine that you do not want to continue with the program, you may give up the scholarship after you complete your freshman year. You will not be penalized by having to discontinue your collegiate studies or have to reimburse the ROTC program. If you would like additional information about ROTC programs, visit the websites of the Navy, Army, and Air Force.